I thought you might enjoy checking this out. OK, this is weird. 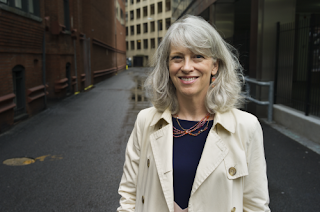 The NCSE announced today that Ann Reid will take over as director from the retiring Genie Scott. I'm not entirely familiar with Dr. Reid's work, but she has an impressive CV. Not much weird about that? Check out her photo. Is it just me, or did they secretly clone Genie Scott? That's Dr. Reid above and Dr. Scott below. Considering all the possible people who could have taken over NCSE, the resemblance is uncanny. I don't know what it means, but welcome to the jungle, Dr. Reid. 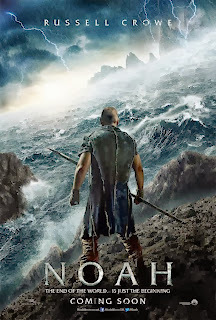 For those who care, filmmaker Darren Aronofsky, known for The Black Swan, The Wrestler, and Requiem for a Dream, is making a film about Noah and the Flood. Today, we get a glimpse of the poster and the first two trailers. Danny Faulkner has a new paper on thermodynamics and the origin of entropy. I haven't had the chance to read it all, but from my skim, I can see that he's absolutely on the right track. Back in the early days of the modern creationist revival, influential creationists like Henry Morris and Emmet Williams maintained that entropy resulted from the Fall and really hammered Robert Kofahl (here and here) when he correctly explained how important entropy is to creation. Does Brian Thomas think I'm a fraud?